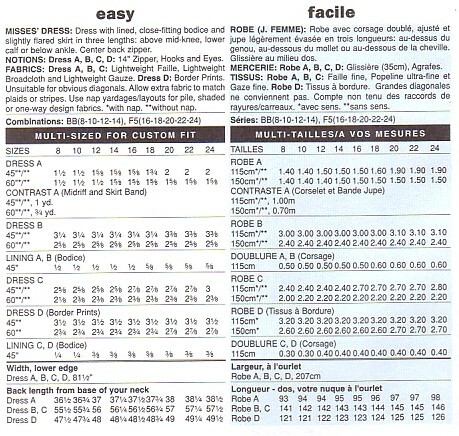 Dress A, B, C: Lightweight Faille, Lightweight Broadcloth and Lightweight Gauze. Dress D: Border Prints. Unsuitable for obvious diagonals. Allow extra fabric to match plaids or stripes. Use nap yardages/layouts for pile, shaded or one-way design fabrics.